John Sterling Barney, for many the real villain of the piece, was part of the Three New Yorkers singing group that came to London in 1927/28. They scored a significant success in the show “Many Happy Returns” and had residencies at the Kit Kat club and at the Cafe De Paris. They may be long forgotten, but they were “pop stars” in their day – introducing a slick, American vocal style to English audiences. That Elvira, with her love of the theatrical world and of all things fashionable and modern, should have found them fascinating should not surprise us. Barney is usually presented as a seedy nobody, but the fact that Elvira’s party at her parents’ house in Belgrave Square included the group as part of the entertainment, along with three major stars of the day – Billy Milton, Lesley Hutchinson (“Hutch”) and Carroll Gibbons – shows that they were , however briefly, the talk of the town. The marriage was, of course, a disaster, Barney proving himself to be both jealous and sadistic. He was back in America within a year and for many commentators Elvira’s journey into the wilder side of 1920s life can be attributed to Barney’s cruelty. I am not entirely convinced of this but what little we know of him is hardly endearing. For example, his major contribution to the trial was an offer to sell the story of the marriage to the newspapers. He then disappears altogether. His partners, Ross and Sergeant, continued the act in the states but seem not to have left any great mark on popular culture. 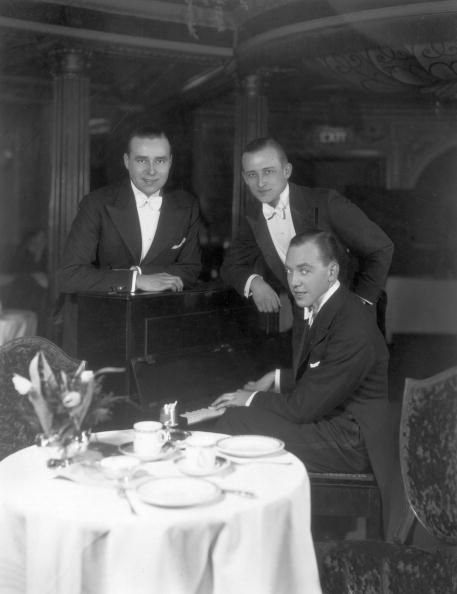 1928 in London was the highpoint for the trio – and perhaps for Elvira too. “Many Happy Returns” was a successful and significant show. Its historical importance lies in the fact that it included one of the iconic songs of the period, “I’ve danced with a man, who’s danced with a girl, who’s danced with the Prince of Wales.”. Written by Herbert Farjeon, an important figure in London theatrical and revue history (and another cricket-writer of some repute),it encapsulated the Prince of Wales cult, then at its height, with some precision and remains a much quoted testament to those times. “I’ve danced with a man, who’s danced with a girl, who’s danced with the Prince of Wales. For I’ve danced with a man, who’s danced with a girl, who’s danced with the Prince of Wales. Believe me or believe me not, it’s all the same to me! I’ve danced with a man, who’s danced with a girl, who’s danced with the Prince of Wales. The song, which catches the mood of the era perfectly, was written about Edna Deane, ballroom dancing champion and populariser of the “modern” dances that Elvira and her friends all loved. Deane’s great dance-floor rival was Phyllis Haylor, part of the London gay set and later the lover and partner of film-critic Nerina Shute. Elvira would have known all three.